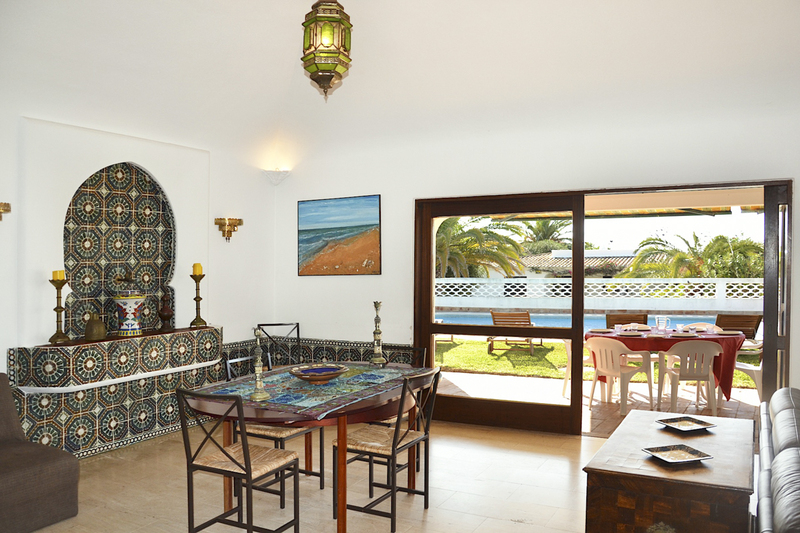 Villa Olga in Olhos D’agua offers outstanding views, direct access to a sandy beach and an attractive private pool, the villa combines bright and spacious living areas with modern facilities, ensuring your Portuguese holiday will be one to remember. It’s ideal for a relaxing break, with the resort centre of lively Albufeira, with its numerous shops, bars and restaurants, a short drive away. The open plan living space is ideal for socialising with friends and family. Rustle up dishes in the well-equipped kitchen and enjoy relaxed meals around the large table or head to the furnished pool terrace for a spot of al fresco dining. 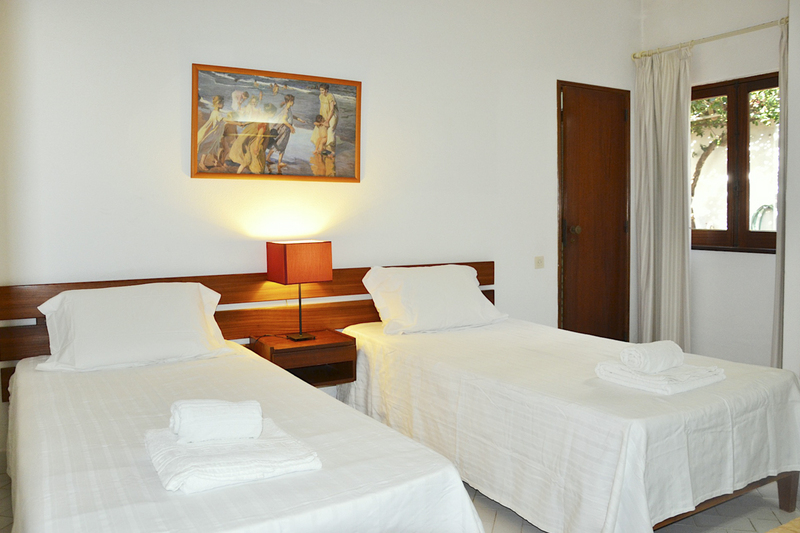 The rooms have a distinctly Portuguese flavour, giving this delightful villa a dash of authentic charm. 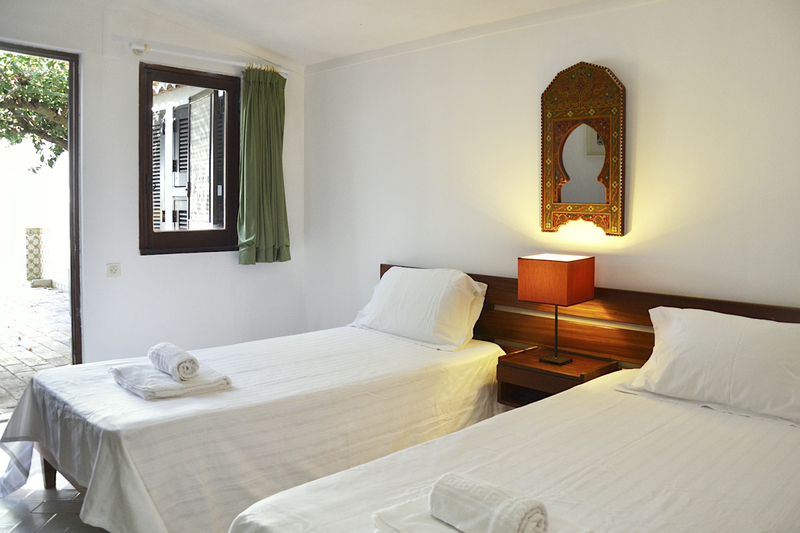 The bright and airy bedrooms with twin beds can accommodate up to eight adults and two children or young adults, with two extra beds available on request. With two bathrooms with shower enclosures, one bathroom with walk-in shower and one bathroom with tub and hairdryer, you can avoid the morning queues. 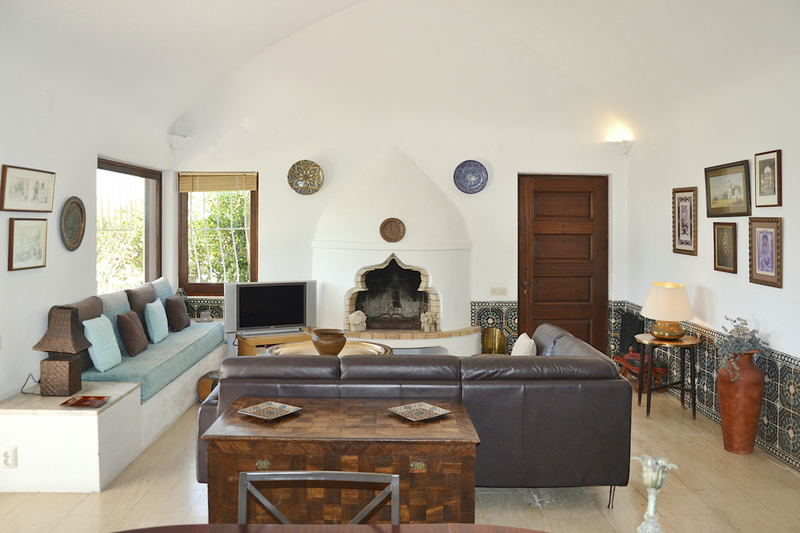 There’s a television in the living area and internet Wi-Fi is also available, so you can stay connected whilst away. Olhos D’agua is a tranquil resort with great beaches and a good selection of restaurants and cafes. Sporty types will be pleased to note that there’s a golf course and tennis court close by. 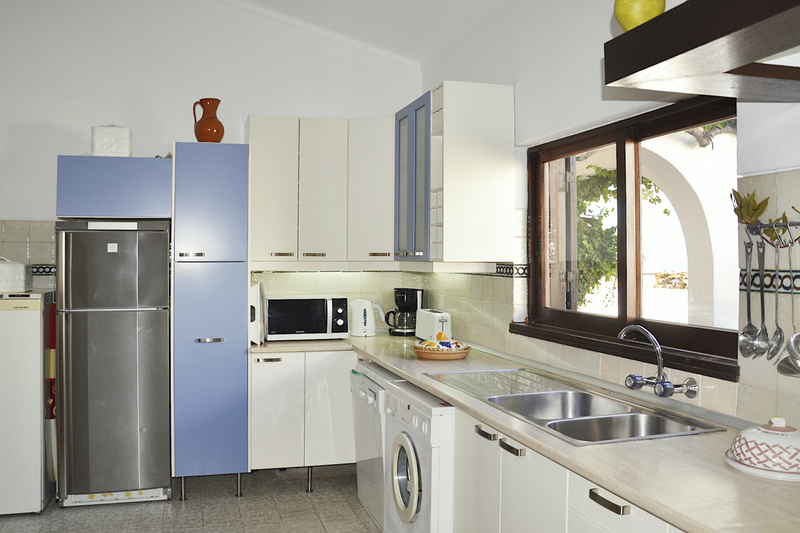 If you need provisions the nearest supermarket is just 2km away from the property. Head into nearby Albufeira for a change of scene. This lively resort is ideal if you’re after a spot of retail therapy or evening entertainment in the form of nightclubs and music bars. 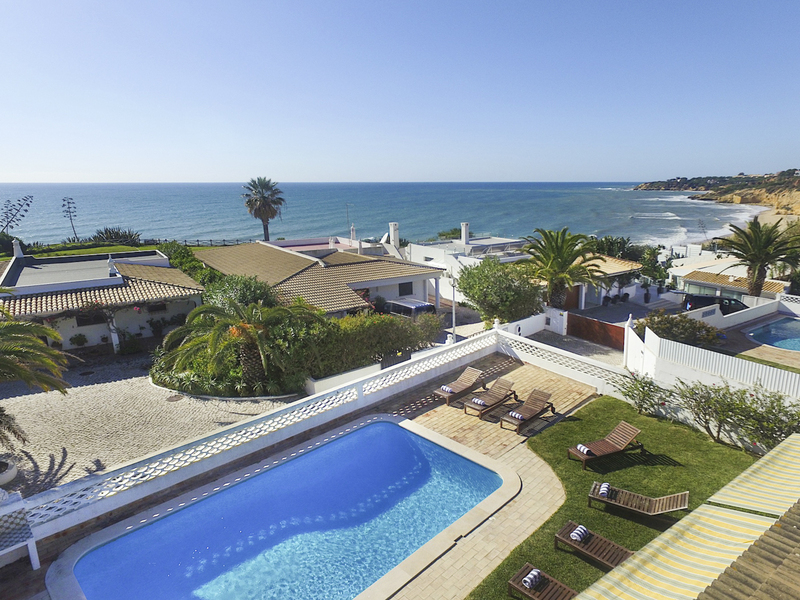 The attractive Villa Olga would be an ideal choice for families or groups of friends, looking for a peaceful, beach-based holiday, with easy access to the Algarve’s diverse attractions. Once a small fishing town, Olhos de Agua is a delightful spot for a relaxed holiday, and has retained much of it’s traditional charm. With a sandy cove at it’s heart, it’s perfect for a chilled-out, beach focussed break, with a selection of low-key restaurants and bars if you want them. Expect to enjoy fresh seafood dishes such as grilled sardines. With lively Albufeira just 4km away, it offers the perfect balance between relaxation and action, offering visitors the best of both worlds. Olhos de Agua is home to Praia de Falesia beach, one of the finest stretches of sand on the Algarve. Surrounded by dramatic red and white cliffs, this offers the perfect venue for swimming, sunbathing or trying your hand at watersports. When you’re in need of refreshment head to the beachside restaurant and bar. If you’re after some action, head to Albufeira, just a short 15-minute drive away. With lively beaches and an upscale marina, it offers something a little bit different. The marina is fringed with cafes and restaurants, as well as a selection of shops and market stalls. The town centre is a tourist mecca with bustling streets, souvenir shops and lively cafes. Those in search of local culture may wish to check out the Archaeological Museum, it has a fascinating collection of artefacts, dating back to the stone age. Drive just 13 kilometres northeast of Albufeira to visit the historic ruins of Paderne Castle. 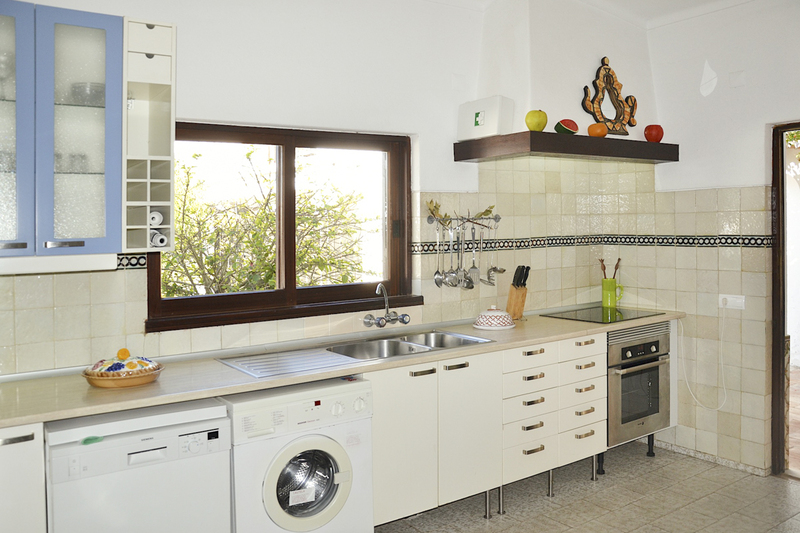 It has retained its impressive outer walls and from it’s hilltop location, also offers fabulous views of the Algarve coastline and beyond. The classy resort of Vilamoura, with it’s up-market marina, chic boutiques and fine dining options, is also within easy reach of Olhos D’agua. 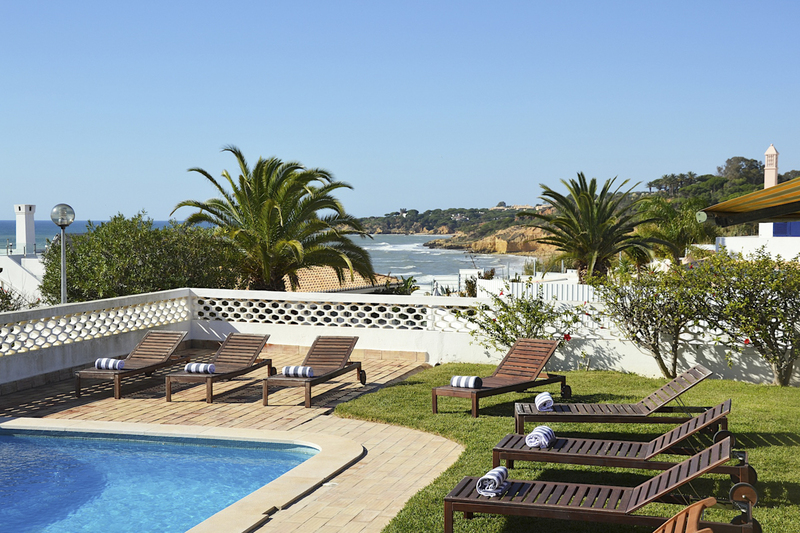 Olhos D’agua is just perfect for those looking for a relaxed, beach based break, with livelier resorts just a short drive away.